Why invest in culture is good for the society and the economy? One of my friends shared on Facebook a video named « La parabole des tuileries », demonstrating the positive impact of culture on economy and society. The video shows a man seating in the Jardin des Tuileries in Paris in a sunny day. The person is thirsty and goes to a pub to drink something. If you order a few glasses, the first glass gives you a deep pleasure, the second one gives you a bit less pleasure than the first one, the third one no pleasure at all as you don’t feel thirsty anymore. This demonstrates a fundamental rule of the economy, named the law of diminishing marginal utility. This law is valid for most of consumption goods. When you buy a new smartphone or a new car, the pleasure is short-lived and the desire to acquire a bigger car, a more sophisticated smartphone is for some of us already in our head. The marketers name also that phenomenon the post-purchase consumer regret. This phenomenon encourages people to buy always more and to impact positively the economy. But are people happier, and is such way of consumption based on the frustration sustainable? There is an exception to this: the culture. When, for instance, you listen to the music, you want to listen more. When you like books, you want to buy more books. The pleasure remains and is growing too. This is certainly because teachers at schools have taught you the taste for music, for book, for culture. This video demonstrates that when governments spend money in culture, they can expect a return on that investment. Culture is a necessity, an asset for the society and for the economy, for many reasons. Let’s have a look on this. – Basic knowledge: Culture, like education, is a fundamental basic that contribute to people development. Reading books for instance, contributes to our literary culture, but more basically to growth our vocabulary. Vocabulary is the basic of communication. Today, some statistics reveal that a range of adults shows lack of vocabulary and don’t understand what they are reading. Such lacks cause problems in the professional life, when some people don’t understand some given instructions and run things on a wrong way. – Openness: culture is something contributing to openness, to develop our reasoning capacities. We can learn different reasoning and compare them with others. It nurtures our critical mind and judgment capacities. The knowledge of different cultures, from foreign countries is an opportunity to see the wealth of our differences. In the era of internet and social media, openness and language knowledge is clearly an asset to catch opportunities and develop global projects. – Creativity: Culture is a reference that feed our creativity. The philosophy, for instance, includes concepts about human being principles and things, about their role in the universe. The knowledge of these concepts gives us the possibility to transpose them in another context. Luc De Brabandere, a Belgian consultant in creativity, was a mathematical engineer. His passion for creativity made that he made studies in philosophy in order to understand our environment and to apply philosophical and mathematical concepts in the creativity domain. – Actor of the society: Culture is something you can acquire but is also something you can create. Culture is a never ending story, and by subscribing to cultural activities, you become the actor of your own life, and enjoying the fact that you can be creative, you can achieve personal goal. To consume is an act, but consumer is not an actor. – Serenity: Culture, like education is the main thing we need to conquer our freedom. By acquiring our knowledge thru education and culture, we expand our possibilities, but we empower also our self-confidence, and reach serenity. By feeling good with yourself, you are good with other people, and build communities contributing to a better world. – Economy: Culture creates local economic activity. As described in the video, when people enjoy the museum, they contribute to create activity and jobs within the museum. The museum contracts goods and services to sustain the cultural activities, but contributes also to develop the tourism activity, what is benefit for hotels and restaurants around, for public transports, etc. Here is what we call the multiplier effect of the investment in culture. 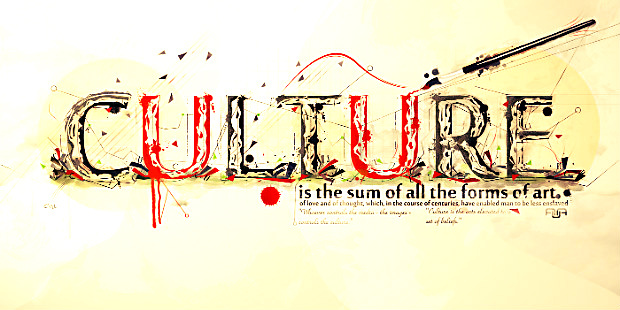 Culture is something immaterial, but is probably the best investment a society can do. Culture is an investment that gains value, for a community as for each member of the community. Culture is the ferment of a sustainable and progressive society, where people can conquer their freedom.